If you live in Helotes, TX, you know how important lawn care is – people are always looking out their windows when they drive around, judging you for your yard. That is why so many residents of Helotes call up Boerne Landscaping Pros. We work regularly in this area, updating the landscaping and taking care of the most beautiful lawns. 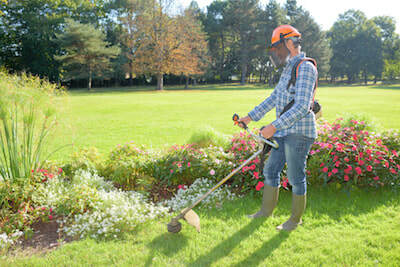 Our trained technicians and workers will use the latest tools and best techniques to have your yard looking perfect. 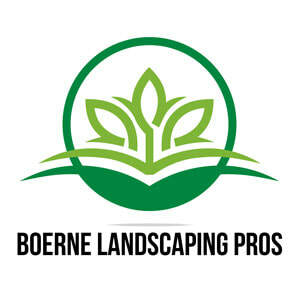 At Boerne Landscaping Pros, we only deliver high quality lawn care. Every day, we improve our services through seminars and learning more about lawn care and landscaping. Some of the most common services in the Helotes area have come quite a long way over the last few years, and we have made it a priority to stay on top of those changes. We believe that the base of any successful, beautiful home is a lawn that is happy and healthy. By keeping your lawn strong and lush, you set the tone of the rest of your yard, home, and family. Mulching – Adding mulch to your garden can be extremely beneficial, especially if it is high quality mulch. When you have mulch in your gardens, they are more beautiful and colorful, and they are healthier. Mulch acts as a natural defense against weeks, helps to retain moisture, and protects the bases of your plants and trees. Aeration – Aeration helps your lawn by opening it up, breaking up any underground clusters and soil build-up that can occur. Typically, aeration is most common after warm weather where the earth has been dry and trampled down by foot traffic. Aeration breaks up clusters in the soil, giving roots room to grow and more access to water from irrigation and rainfall. Fertilization – Lawns with bald spots, missing turf, and lawns that just look sparse and weak do have a chance to look beautiful and lush. Fertilizer helps more than just your gardens, it can act as a way to keep your grass healthy and ensure that it gets enough nutrients. Fertilization is typically used to help new grass establish itself or when repairing storm or construction damage. Composting – Composting grass puts all of the nutrients from the still healthy cut grass back into the ground. This eliminates the amount of chemicals that go into your yard and helps with any and all water run-off as well. If you are a Helotes business owner, you know by now that competition is tough and you have to do all that you can to stand out. If you have a beautiful storefront of business space, clients and customers are more likely to come to you over your competition. Our professionals help you to build a beautiful landscaping plan, keep your lawn maintained, and even add some security features like outdoor lighting. If you are in need of quality lawn and yard service in Helotes, TX, you can count on Boerne Landscaping Pros to help you – whether you are just building landscaping or you want to try something new. 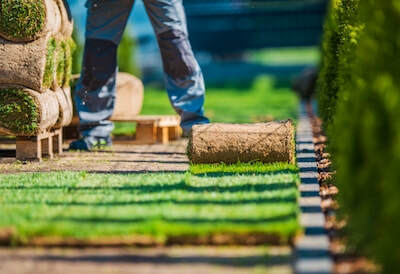 In addition to the services above, our team also offers aeration, composting, gravel installation, mulching services, river rock delivery and installation, soil testing, and sod installation for the Fair Oaks Ranch area and beyond. For lawn care, landscaping, and other services in the Helotes area, contact our team today.